High performance computing has historically been the domain of the likes of Intel, AMD and IBM, so it is indeed interesting to see that scientists have now started to consider ARM as a serious candidate. A group of boffins from CERN have compared Applied Micro's X-Gene 1 64-bit ARM-based XC-1 development board to the Intel Xeon E5-2650 and the Xeon Phi SE10/7120. 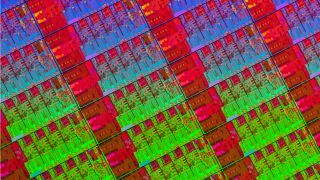 The follow-up to the X-Gene 1, the X-Gene 2, is likely to be used in HP's Moonshot servers while the Xeon Phi is not strictly speaking a processor - it's more of a GPGPU. Intel's Xeon processor used in the comparison was a 32nm part that's nearly three years old. It's therefore fair to say that using the latest Xeon and AMCC parts would have yieleded even better performance from Intel and ARM. CERN chose its own Linux distro for Intel and stuck to Fedora 19 for ARM. Unsurprisingly, Intel won the benchmark fairly easily in terms of raw performance but the X-Gene 1 surpassed both when it came to another increasingly important metric, performance-per-watt. It was more than twice faster while consuming less power (compared to the Xeon part) and consumed about a third of the power compared to a Xeon Phi at equal performance. No surprise therefore that CERN's considering the "ARMv8 64-bit solution" to be "relevant and potentially interesting platform for heterogeneous high-density computing".